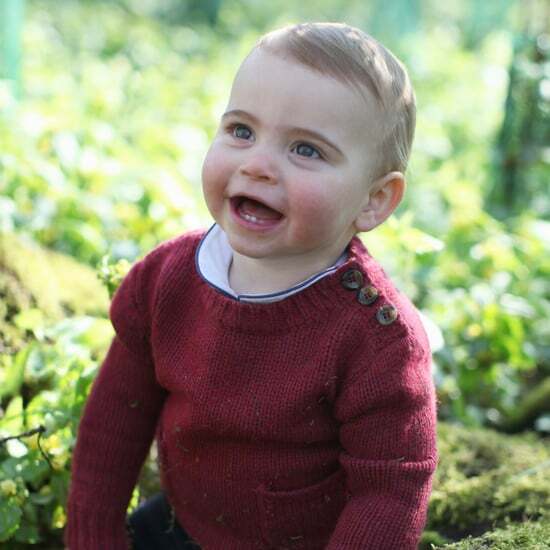 A lot of British kids are currently enjoying half term, an extra week's break in the middle of the school semester. 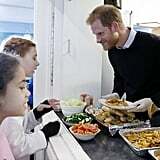 For many, this extra "holiday" is a chance for fun, but it can put a huge strain on the country's poorest families, who rely on the activities and meals that schools provide each day. 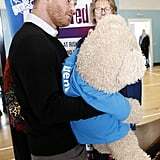 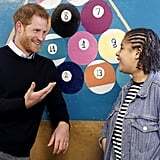 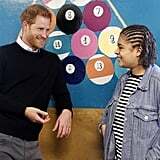 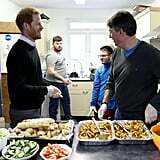 On Tuesday, Prince Harry had an opportunity to find out more about Fit and Fed, a national initiative that provides children and young people free access to activities, sports, and nutritious food during school breaks. 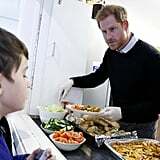 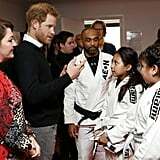 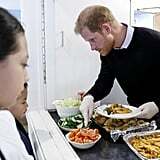 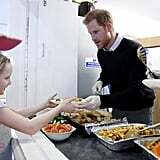 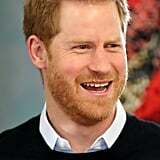 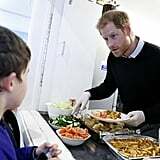 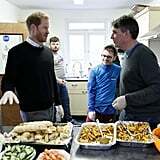 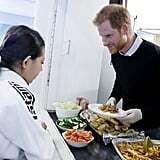 Harry got to see events happening firsthand and even got stuck in serving lunch to the kids . 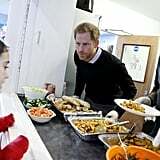 . . though we did notice he cleverly positioned himself right by the garlic bread — we've seen before that Harry loves to steal those carbs for himself! 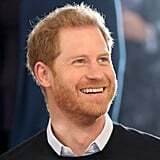 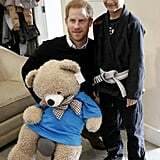 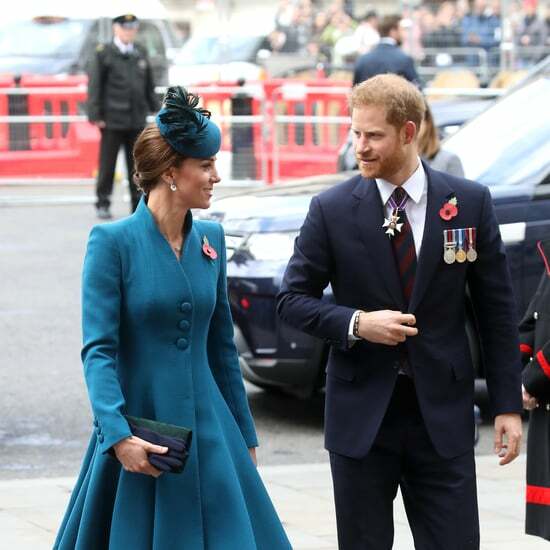 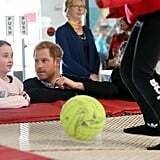 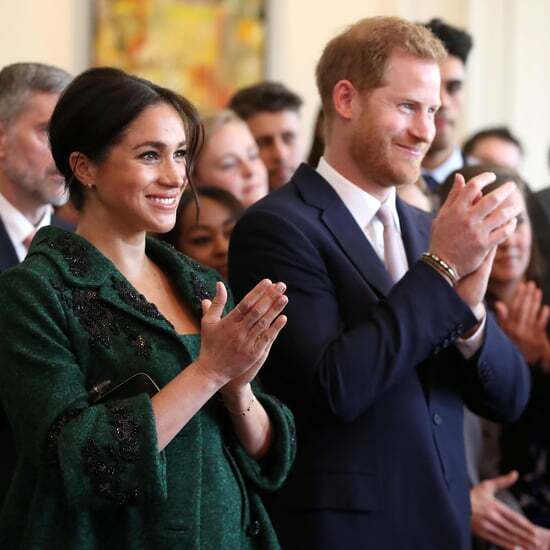 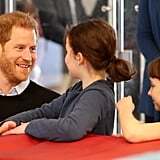 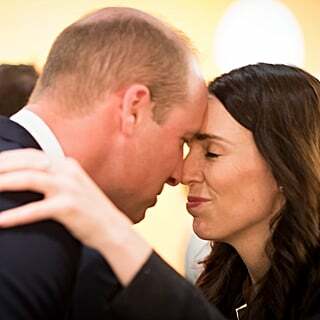 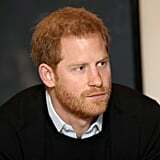 Harry has always had a special way with kids and always looks in his element when he's with them, but this visit had even more significance, as the prince prepares to welcome his first child with wife Meghan Markle. 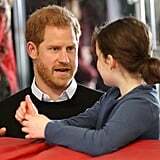 It's fitting that while Meghan enjoys a bit of not-so-secret downtime in NYC with friends ahead of the birth, Harry's getting in some last-minute training with some adorable kids. 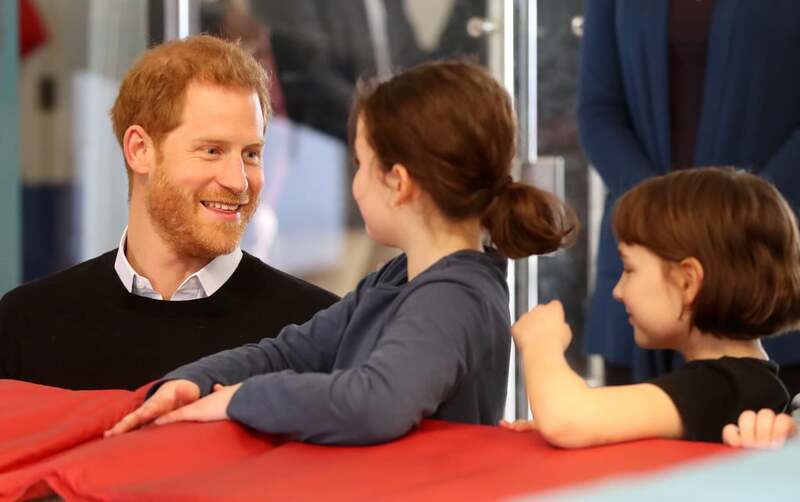 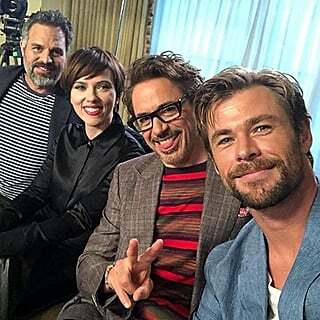 See all the photos from his sweet visit ahead.